Transcripts of Hamas radio communications have surfaced that indicated the terror group initially mistook the IDF special forces deep in its territory as a criminal gang, according to Hadashot news. 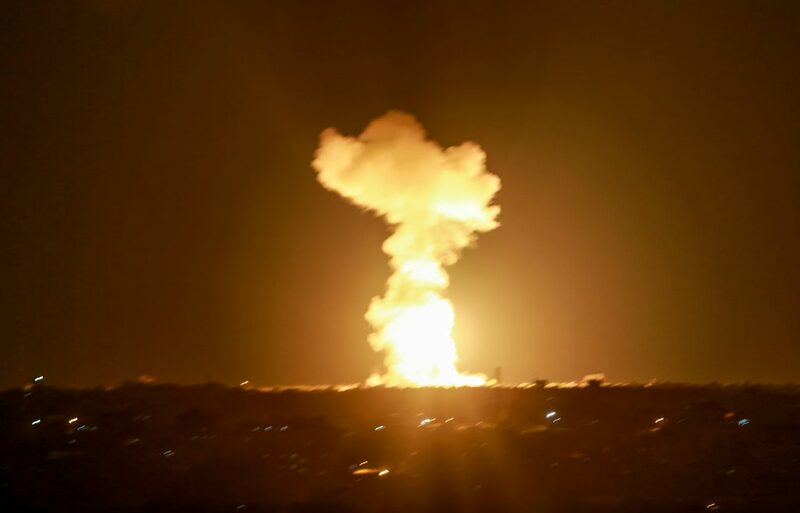 The IDF raid and ensuing gunfight with Hamas forces touched off the latest rocket barrages from Gaza against southern Israel. The recordings of the radio chatter were obtained by Hadashot news, which did not identify their origin and refrained from broadcasting the audio recording itself, “in order not to expose a source,” the news network said. Israeli authorities have not commented on the report. “To all forces and positions, a blue Volkswagen is driving suspiciously and very fast near the Islamic University,” one official said on the police radio, according to the transcript. “Which car?” another voice asks. A chase ensued through the streets of the Gaza town of Khan Younis, and Hamas set up roadblocks to trap them. At about that point, IDF aircraft were dispatched to extricate the special forces, and Hamas noticed them above. It is roughly at this point that the IDF commander in the field, Lt. Col. M, was hit by Hamas gunfire, and mortally wounded, as he deliberately drew their fire to allow his comrades to eliminate several Hamas terrorists before fleeing to a rescue helicopter. Hamas officials are said to view the gun-battle as a failure, because their primary goal — according to the Hadashot report — was to capture the IDF soldiers who had been so nearly in their grasp.